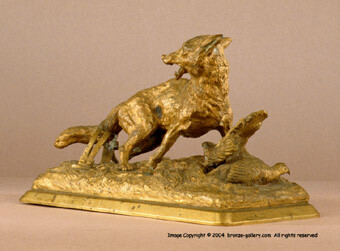 Early in his career Alfred Dubucand sculpted mostly wild animals. This bronze sculpture is of a dog Fox caught by its tail in a leg hold trap. Dubucand captures the essence of fear in the eyes and expression of the animal as it realizes that it no longer is free. A rare model that shows the harshness of life, it is not very popular today and such traps are rarely used and are outlawed in many places. 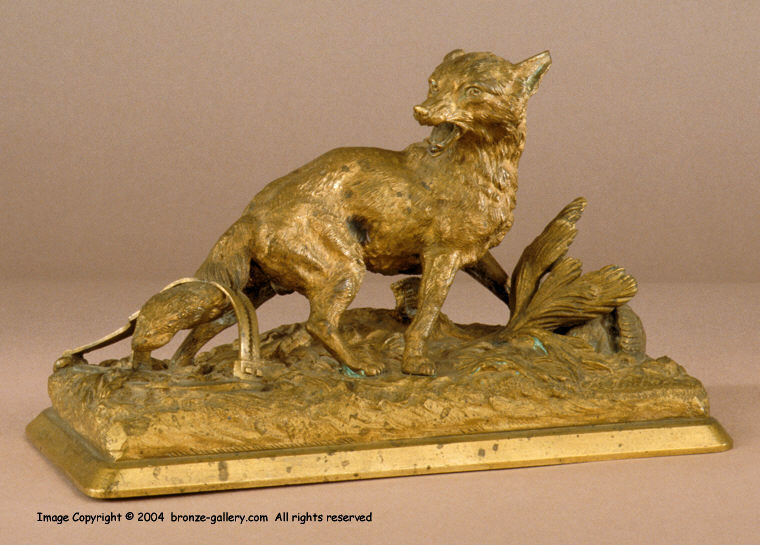 This bronze is expertly modeled with sharp details and finished in a gold dore patina.